Kathy Bedsworth, Owner/Innkeeper of The Carriage House Inn Bed and Breakfast in Lynchburg, Virginia, is proud to announce she has successfully completed training in the Miracle Migraine® Cold Stone Therapy for Migraine Headaches. 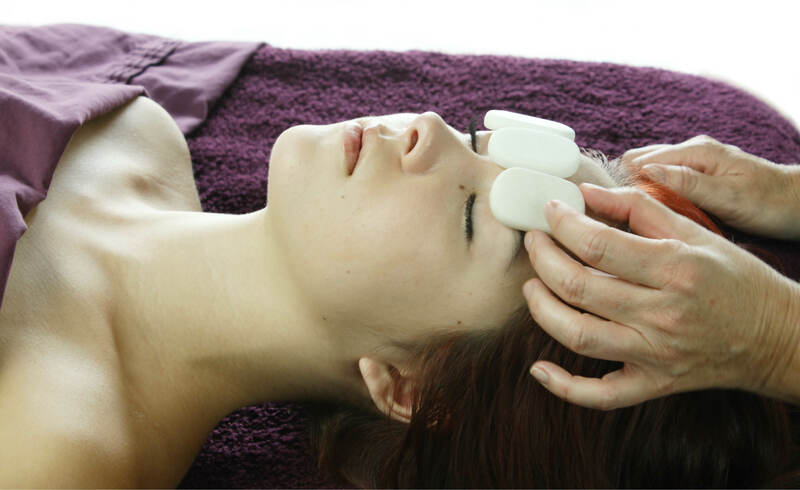 This unique massage technique utilizes massage therapy techniques, concentrating on specific headache trigger points, combined with specific essential oils applied to the face and pulse points, along with the use of specifically designed and crafted cold marble stones placed at strategic areas to reduce inflammation of blood vessels. What causes a migraine? It is thought migraines are caused by inappropriate activation of a pain warning system. This system stays on and continuously repeats. Migraines are typically triggered by stress or anxiety, hormonal changes or imbalances, food allergies and environmental agitation. Migraines typically feature a headache on only one side of the head and pulsating or throbbing pain that generally lasts four to 72 hours. For a headache to be classified as a migraine, the pain must be severe enough to limit or impair normal activity. decrease in inflammation. These stones are places on various trigger points located on the face and neck. Aromatherapy is an integral part of the Migraine Miracle®. Our sense of smell is the strongest sense we have. The Migraine Miracle® proprietary blends actually alter a headache physiologically by calming the brain. Migraine pain is the worst kind of headache pain. As massage therapists we love to take away our clients’ pain and make them feel that blissful spa experience. Massage, cold stones and aromatherapy all work well by themselves. When combined, these modalities are even more effective. The Carriage House Inn Massage and BodyWorks Studio is now offering the Migraine Miracle®. Each 45-minute treatment begins with the client selecting their aromatherapy oil followed by a series of relaxing breathing techniques and the wrapping of the clients’ feet in warm cloths. The treatment contains a variety of headache trigger point release techniques along with placing the selected aromatherapy oil directly on various points of the face and neck. Cold marble stones are placed on the face and neck. A short resting period follows after which time you should feel some relief from your headache and after which more relief should follow. A Miracle Migraine® session can be done as often as needed, even repeated over several consecutive days. Each Miracle Migraine® treatment is $75.00. Call Kathy at 434.846.1388 to schedule your appointment, either as you feel a migraine coming on or once it has occurred.